Sushmita Subba is a senior resident program manager with NDIs Kathmandu office. Sushmita joined the Institute in 1999 as an office/program assistant and office manager. She now coordinates and manages NDIs program to strengthen civil society, working closely with the Civil Society Alliance for Political Reform, a coalition of civic organizations dedicated to advancing political reform in Nepal. Her efforts include providing technical training and guidance to strengthen the Alliance s organizational development as well as its advocacy mission. Sushmita g raduated from Government College, Darjeeling, India. She enjoys traveling and reading. 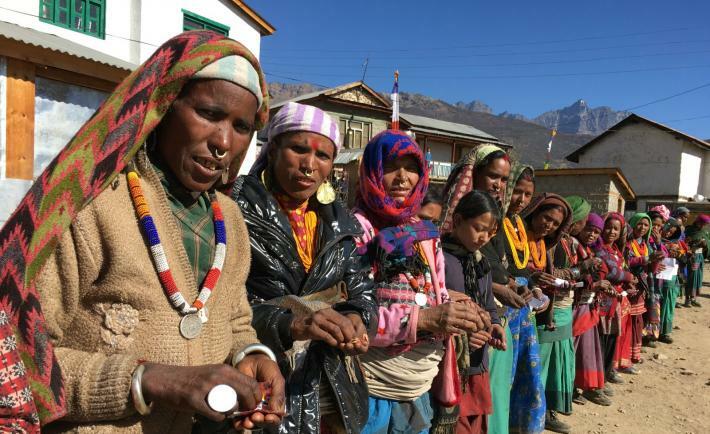 Women welcoming party leaders and NDI staff in Humla, Nepal.